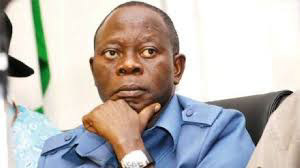 National Chairman of the All Progressives Congress (APC), Adams Oshiomhole, has advised the lawmakers who defected from the party not to be deceived by promises of automatic tickets. Addressing reporters on Thursday in Abuja, Oshiomhole said there are no automatic tickets for those defecting to the Peoples Democratic Party (PDP). While he described such promise as ‘a mirage’, he noted that the APC does not need politicians of convenience but members with a shared ideology. The APC National Chairman, however, said the doors of the ruling party were open to defectors to return, but would not be lured with gifts such as dollars or automatic tickets. He spoke to journalists after meeting with the APC caucus in the House of Representatives led by the Majority Leader of the House, Femi Gbajabiamila, at the party’s secretariat in the nation’s capital. Gbajabiamila said that the draining of the swamp had taken place earlier while the consolidation of the remaining loyal members would continue. The meeting was convened two days after 37 members of the House and 14 members of the Senate dumped the APC. Some of the members of the House who left the party are Danburam Nuhu, Mark Gbilah, Razak Atunwa, Ahmed Bichi, Abdulsamad Dasuk, Zakari Mohammed, Sani Rano, Barry Mpigi, Ali Madaki, Dickson Tackighir, and Hassan Saleh. Similarly, the defecting senator include Dino Melaye (Kogi), Rabiu Kwankwaso (Kano), Abdulazeez Nyako (Adamawa), Barnabas Gemade (Benue), and Ibrahim Dambaba, Shaaba Lafiaji (Kwara), Rafiu Ibrahim (Kwara), and Monsurat Sunmonu (Oyo), among others. President Muhammadu Buhari consequently met with the APC senators led by the Senate Majority Leader, Ahmed Lawan. Senator Lawan told State House correspondents after the meeting that the defected lawmakers would return to the party before the 2019 elections. He had also noted that despite the defection suffered by the ruling party, the APC retained its majority status in the Senate with 53 seats. 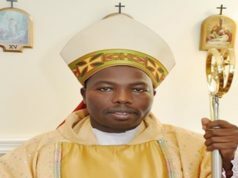 The lawmaker said the PDP has the largest minority with 48 members of the Senate while the African Democratic Congress (ADC) has two senators.